Everyone wants to lead a healthy life & for this we eat nutritious foods like fruits, vegetables, salad. But guys,, did you know fruits and vegetables are not the only things which can keep our body healthy. Most of us subtracted the sweetness from our life by ignoring the chocolates, due the fear of extra calories and unwanted sugars. 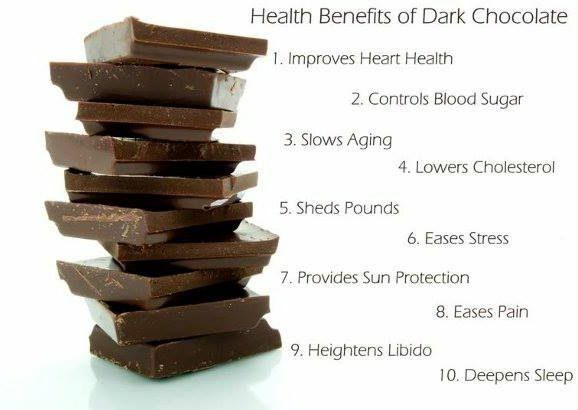 But do you know Chocolates, specially Dark Chocolates are very beneficial for us. They antioxidants and nutrients present in chocolates lowers the risk of heart disease, protect your skin from the sun, protects your teeth, makes your hair healthy & shiny & most important dark chocolate is the best super-foods for weight loss. The flavonoids presents in dark chocolate absorb Ultra Violet Rays & protect your skin against sun-induced damage. Dark chocolate increase blood flow to the skin, and improve skin’s hydration and complexion. Dark chocolate is not only good for your skin but also has various hair care benefits. Dark Chocolate helps in promoting blood circulation in the scalp which leads to increased growth of healthy hairs. Dark chocolate is the best superfoods for weight loss. Dark Chocolate is full of MUFAs and the healthy fats present in it will revive your metabolism to burn more fat and calories. 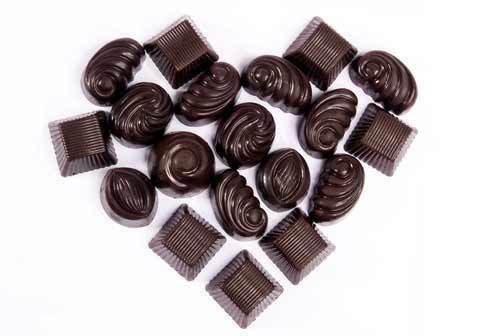 Eating a dark chocolate daily & twice or thrice each week can help lower your blood pressure. Dark chocolate improves blood flow in your body and may help prevent the formation of blood clots. No ones like to visit the dentist clinic to get their teeth examined. We hear almost from everyone that chocolates are bad for teeth. But chocolates are good for your teeth and specially dark chocolates are good for your teeth. Dark chocolate contains theobromine, which is affective in strengthening tooth enamel. So you can say that, a dark chocolate a day, keeps the dentist away. Apart of all this, Dark Chocolates reduces stress, improve your mood, helps in cough relief & lower the risk of cardiovascular disease. Food & Nutrition, Health and Fitness. permalink.